Two Hospitalized, High Levels Of Carbon Monoxide Detected In Dillsboro Apartment Building; Were Injuries Preventable? Could the injuries of these Dillsboro apartment residents have been prevented and are justice and compensation available to the victims? Two people were transported to the hospital after they “possibly suffered from carbon monoxide poisoning in an apartment building” Sunday, March 31, 2019, according to EagleCountryOnline.com. 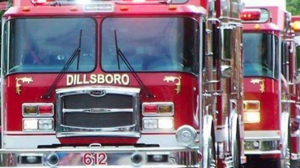 According to the news report, “The Dillsboro Fire Department responded to the four-unit apartment building on Shae Lane. They found there were high levels of carbon monoxide.” The Assistant Fire Chief attributed the gas leak to a “gas water heater” and advised the owner of the apartment building to correct the problem according to the news story. The media report indicates the victims were in stable condition. As the fire department continues its investigation, premises liability attorneys with The Murray Law Firm question whether a lack of emergency evacuation procedures and fire safety measures at the complex may have contributed to this incident. When was the last gas and utility inspection performed? When were carbon monoxide detectors last inspected and updated? What safety measures, such as working carbon monoxide detectors and frequent utility inspections, were implemented by the apartment complex owner prior to this incident? 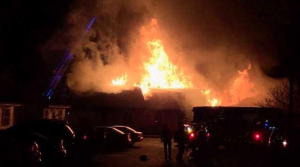 As details of this tragedy continue to emerge, The Murray Law Firm suggests that it is possible that the apartment complex owners or managers failed to undertake proper safety measures to protect those residents and guests legally on the premises. By law, the owner and management company of an apartment complex have a duty to protect residents and to keep the premises safe. If the owner or manager fails in this duty, they may be held civilly liable for any injuries or wrongful deaths that occur as a consequence. Should the owner or management of the apartment complex be found at fault, the victims may elect to hold the owner and management company civilly liable for their injuries. Financial recovery for such claims could be substantial. As insurance companies and unscrupulous property owners are often more concerned with limiting their financial exposure in these incidents, it is crucial that the victims retain an experienced premises liability firm as soon as possible to ensure all evidence, such as a faulty carbon monoxide alarm or a poor evacuation plan, is preserved and the victims’ best interests are protected. The Murray Law Firm has extensive experience in premises liability and apartment negligence cases, such as this, and we offer our legal expertise, if needed. The Murray Law Firm has an extensive and successful record representing victims of safety and security negligence. We have recovered millions of dollars for our Clients, and recently obtained a $29.25 million dollar verdict for a victim of an unsafe property. We offer our legal assistance, if desired. 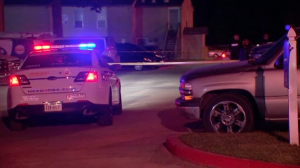 Glenn Allen Takakura Killed in Houston Apartment Complex Shooting; Security Lapse? Did negligent security contribute to the shooting death at a Houston apartment complex and are justice and compensation available to Mr. Takakura’s family? No arrests have been made according to media reports. What security measures were in place to deter crime and protect Mr. Takakura at the time of the shooting? Generally, property owners are required to protect all those legally on the premises from any foreseeable harm. Should the facts of this matter reveal that the apartment complex owner failed to provide adequate security to protect those on its premises, Mr. Takakura’s family may seek justice and elect to pursue legal claims for their loss. Based upon its prior successful experience in handling security negligence claims on behalf of victims and their families, The Murray Law Firm suggests that photographs and a thorough, unbiased inspection of the property will need to be performed immediately, before any evidence may be repaired, damaged or destroyed. Given the complexities of pursuing a negligent security case, it is imperative that Mr. Takakura’s family retain an experienced attorney who can ensure the preservation of any and all evidence that may support such a claim.